May buy 1 for yourself and 3 additional as gifts. May use 1 per person. Must sign waiver. Must be 19 or older; 8-18 yrs. must be accompanied by guardian. Valid only for option purchased. Range lanes are subject to availability. You can bring your own guns & ammo if you would like. Rental guns are hand guns and will be available on a first come first serve basis. Ammo is not included. Expires 3 months after purchase. See the terms that apply to all deals. This deal includes 2 targets, 1 shared lane, eye and ear protection, and unlimited gun rentals! With the unlimited gun rental, you can try out as many guns as you would like during your visit; except fully automatic guns. 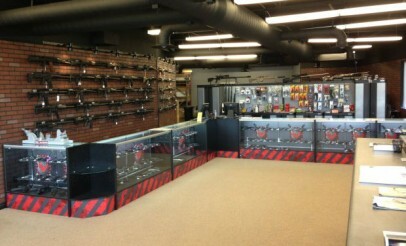 The Gun Vault is Utah's premier indoor range and gun store. 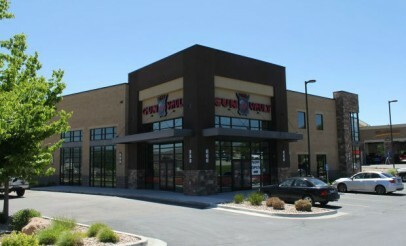 The location include an indoor shooting range, large classroom, V.I.P. membership lounge, retail store, training simulator, and on-site gunsmith. 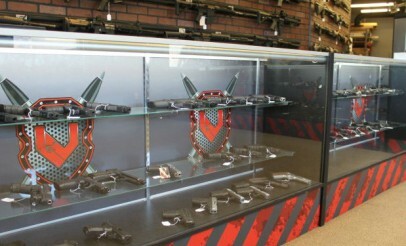 The Gun Vault is your one-stop-shop for all things related to the firearm industry.